color of the month- Orange! The Pantone color of the year happens to be Tangerine. Use it as an accent or use it in full force to really add some punch to your decor! Simple this month, pretty much full of vintage glassware. 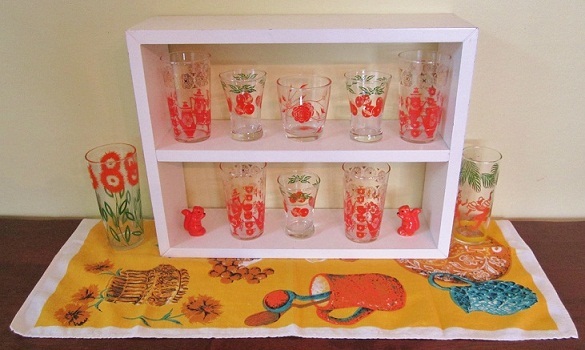 There are some darling orange juice glasses, cute kitcheny ones, a peanut butter glass, unusual rumba glass, and some orangey squirrel salt and p's. All grounded by a vintage tea towel. 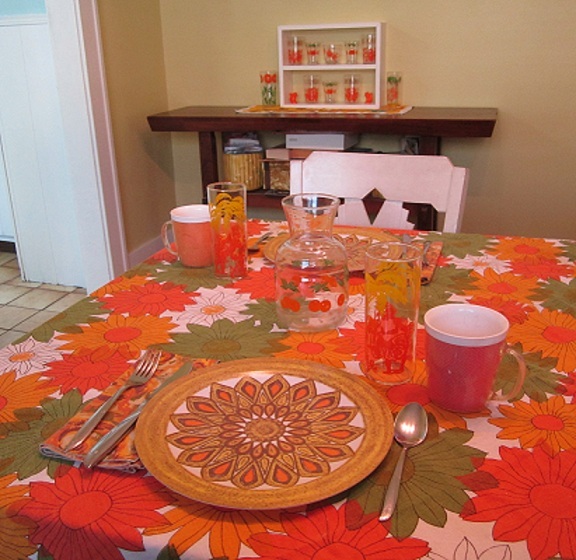 This flower power vintage tablecloth really adds some punch! Paired with some burlap melmac mugs, mod melmac plates, oj carafe, vintage napkins, and some hard to see and hard to find glasses featuring palm trees and native characters. 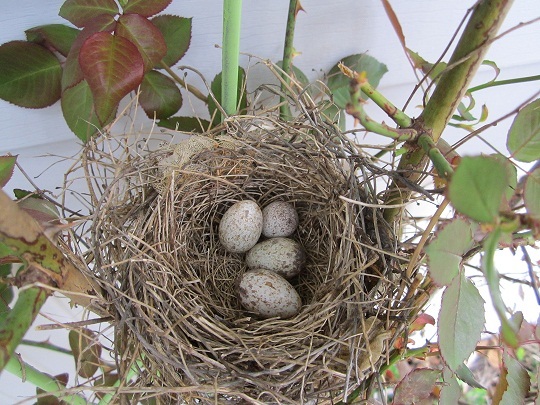 To my surprise I happened upon this beautiful nest in my rose bush the other week. I suppose mama bird thought that even though it was quite low to the ground it was hidden and protected by thorns. I’ve been carefully watching and anticipating the arrival of some new bird friends. I was able to carefully snap a couple of pics while mama cardinal was away. I walked down the driveway to get the mail and a bird fluttered quickly out of my rose bush. Odd I thought, and after a little peek I found this inside all the branches! 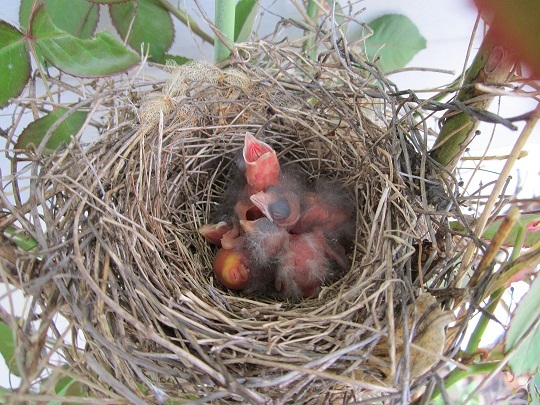 I was hoping to get a peek at them hatching but mama cardinal has been doing some serious nesting the last couple days. Here's why! Look at these freshy fresh bird friends! 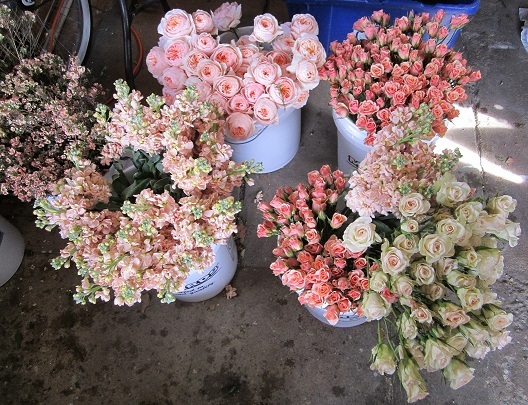 This past weekend I spent immersed in gorgeous blooms! Floral design has always been an avid interest of mine. In fact, most of you don’t know that this was my career plan after college. I worked at several floral places during college and a couple after. I’ve helped dear friends style their weddings and design bouquets and such over the years, so when the opportunity arose to do my largest event yet I jumped at the chance! So here’s the story of 30 centerpieces, 5 bouquets, 7 boutonnieres, 2 wrist corsages, a cake topper, and a bunch of pretty little vases for things like cocktail hour and the gift table. You can imagine that quite a bit of planning goes into something like this! And of course, having a trusty assistant helps too! 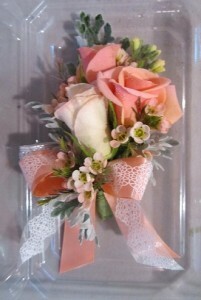 I had forgotten how much I love working with flowers! I hope I get to do it again soon! 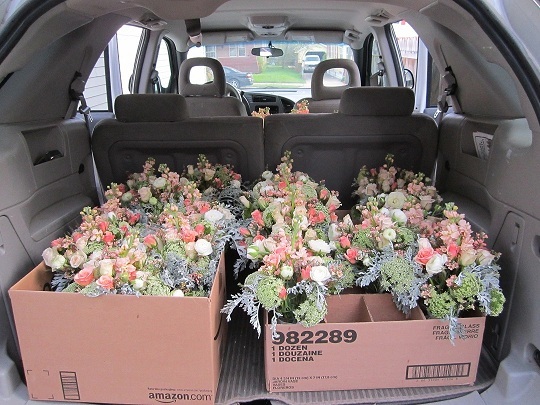 7 am the day before the wedding, the car is getting loaded with oodles of flowers at the wholesaler. 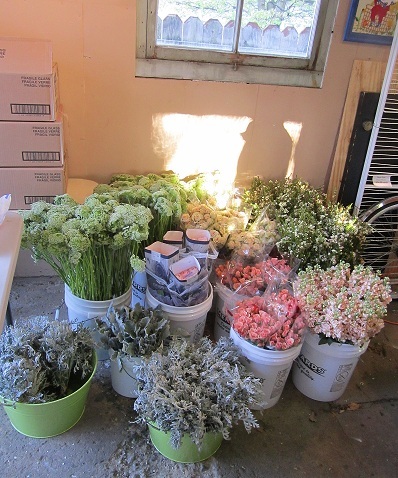 Back home and thirsty flowers are quickly unpacked from boxes and into buckets. Further processing gets you dethorned roses and stems stripped of leaves. Now let the real work begin! 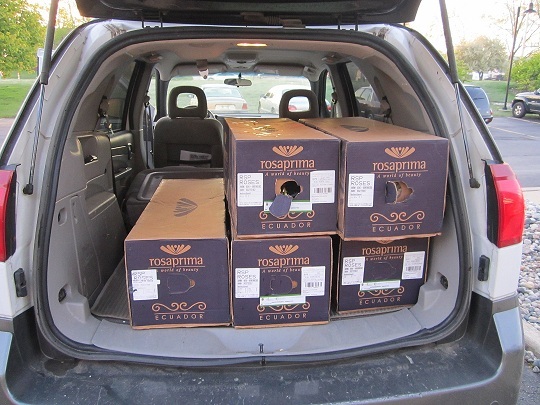 Well, almost, there was a 2 hour delay as we waited for the delivery of the cream ranunculus, which was of course in everything! 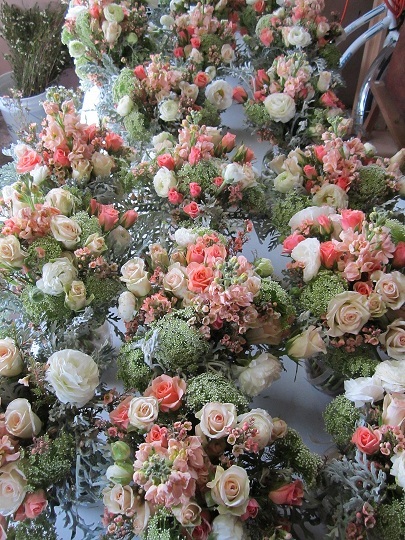 Centerpieces are starting to pile up on one of the work tables. I think I had about 11 to go at this point. Whew! 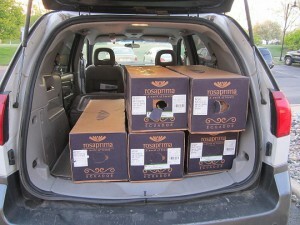 30 centerpieces done and all loaded up for delivery Friday night. 4 elevator trips later, and they were all in place! Back home and onto the bouquets! 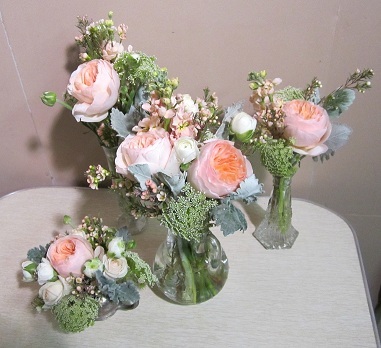 Oh and don’t forget the pretty little vases for the gift and reception table! 9 pm. 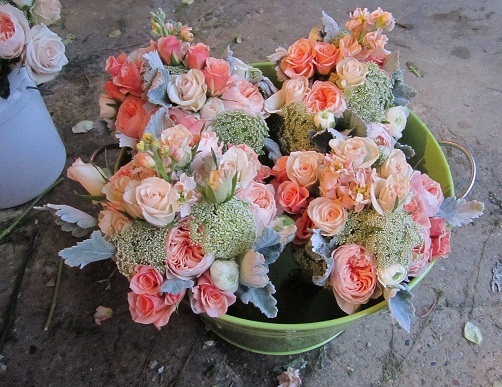 Bridesmaids bouquets are done and will wait until morning to get their stems wrapped in ribbon. Some more work and calling it quits at 10. Good nights sleep needed here! 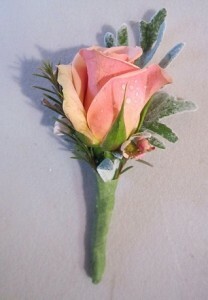 One of the guys boutonnieres. The groom has double spray roses and an extra little gift attached from the bride. 5 am Saturday, morning of the wedding, up and at em! Wrist corsages-check, cake topper-check, bouquets wrapped-check! By 7am I was ready for breakfast and to get myself ready for delivery and the wedding of course! The gorgeous happy couple! 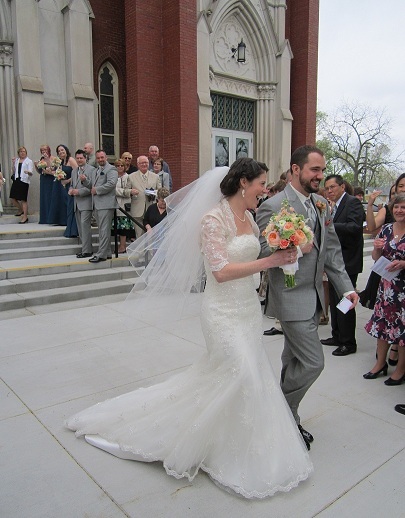 Congrats to Alison and Rob 4-14-12! Wow, time is flying! Coming soon May 18-20th you can find me at The Vintage Marketplace! It’s part of the Springfield Antique Show Extravaganza! Make your travel plans now! I’m super excited to be joining forces with my vintage comrade over at Lisa’s RetroStyle! We’re sure to have something for everyone! From cottage chic to mid century modern sleek we’ll have fab furniture, linens, oodles of vintage housewares, and some fantastic handmade goodies! I’ll be posting a few sneaks as we get closer so stay tuned! Below is a quick pic, just a little snippet of larger items that help hold all the smaller vintage magic, and they’ll be for sale of course! 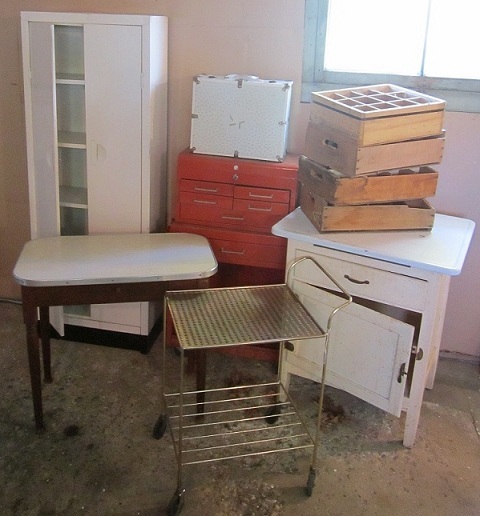 I can’t wait to take all of our goodies and make it into a dreamy vintage store just for you!